The world’s first luxury blended whisky owned by Chivas Brothers is a lesson in survival. 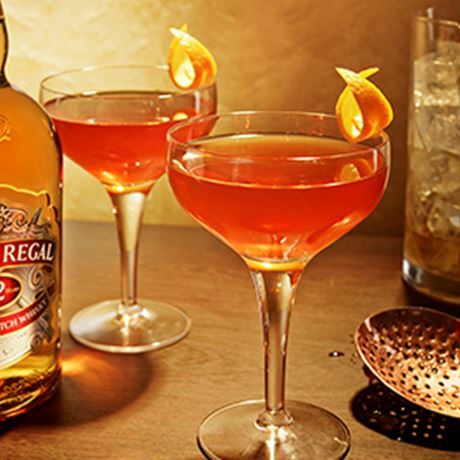 Chivas Regal started life as a 25 Year Old designed to woo the high societies of the United States. With a higher malt content than many other blends of the time, its intention was to offer a more sophisticated and complex palate to its rivals. Since then, and with tighter cask management by its owner, Chivas Brothers, the flagship expression is a 12-year-old – although 18 and 25-year-old expressions also form the remainder of the core range – which has a much lower malt content than its predecessor. The typically Speyside character of the blend’s malt constituent displays as green apples and orchard fruits, while its decent grain content lends a honeyed sweetness. The story of Chivas Regal is one of triumphing through adversity ­– no matter how many times it changed hands or however many world wars threw a spanner in the works, like only a handful of early 20th century blends, it survived. It begins in 1801 when John Forrest set up a grocery and wine merchants in Aberdeen. Although the business moved about a bit, up and down Castle Street then across to King Street, as well as to a second ‘west branch’ in Union Place and under a variety of owners, whisky was almost always its primary focus. 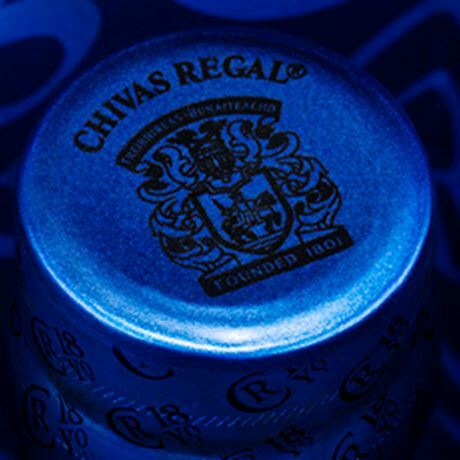 But it wasn’t until the early 20th century, when the business had been known as Chivas Brothers for some 40 years and held a Royal Warrant from Queen Victoria, that Chivas Regal’s chapter begins. By 1900, when the amount of grain whisky produced in Scotland reached over 82.5 million litres, Charles Howard and Alexander Smith, directors of Chivas Brothers, had some six blended whiskies on their books: Magna Charta 5 Year Old, Royal Glen Dee 6 Year Old, Royal Glen Dee Reserve 8 Year Old, Royal Strathythan 10 Year Old, Royal Loch Nevis 20 Year Old and Royal Glen Gaudie, the age of which is unknown. Word spread to the blenders that the economies of the United States and Canada were booming and in 1909 Howard spied an opportunity to launch what came to be the world’s first luxury blended whisky: Chivas Regal 25 Year Old. 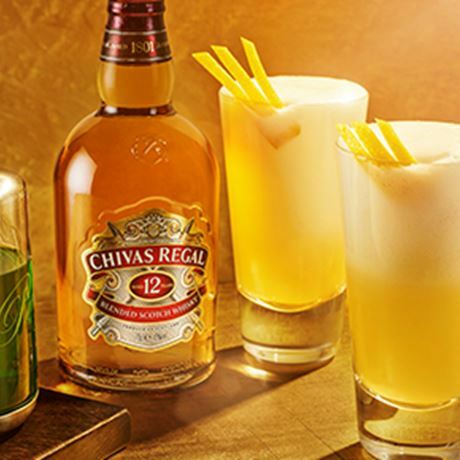 Within its first year, Chivas Regal became one of the most talked about imported consumer goods among high society. For five years exports were strong for Chivas Brothers, but the onset of war in 1914 meant shipping routes to the US were cut off, and the business focused instead on supplying the local market. It was a dark period to be operating as a luxury spirits merchant, but despite the gloom, Howard continued to purchase and squirrel away stocks of Highland malt whiskies. His unrelenting belief in the future success of blended whisky could have been his enduring legacy, if it weren’t for the sale of his treasured stock following both his and Smith’s unrelated deaths in 1935. The sole remaining partner in the business offloaded Chivas Brothers to whisky brokers Stanley P. Morrison and R.D. Lundie in early 1936, who sold Howard’s prized whisky inventory for £149,000 to fund the purchase. In the years that followed, Morrison worked to restock Chivas Brothers inventories, and by the time WWII broke out in 1939 the decision was taken to relaunch Chivas Regal in the US as a 12 Year Old to preserve stocks. Despite continuing to trade throughout, the war had left Chivas Brothers shaky and the company sold out to Sam Bronfman’s Seagram in 1949. The following year the firm bought Milton distillery, renaming it Strathisla, which not only acts as a key malt component of the blend but plays as the brand’s home in Keith to this day. By 1960 Chivas Regal was being exported to some 35 countries while sales in the US reached 100,000 cases – just over 50% of the luxury Scotch whisky market. Just 10 years later that figure grew to 1.2m cases worldwide. 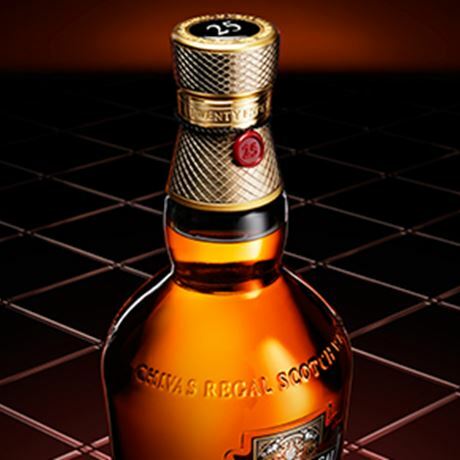 A mid-level expression, Chivas Regal 18 Year Old was introduced in 1997 to create a ladder within the portfolio, which four years later was sold to Pernod Ricard during the Seagram split. Since then a range of exclusive limited editions and market exclusives have been launched, including Chivas Regal Mizunara – the first Scotch whisky to be matured in Japanese oak. These days the brand sells well in excess of 4m cases per year. 1895 Alexander Smith takes control and through a partnership with Charles Stuart Howard, formerly of J&G Stewart, places greater emphasis on whisky. 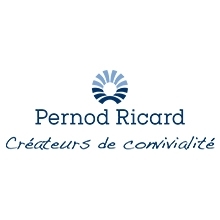 An old Glasgow blend recently revamped by its current owner, Pernod Ricard. A collectible old blend, especially if in its ‘Greybeard’ ceramic jug. Blended Scotch produced largely for local Aberdeenshire and the Scottish islands. A now defunct company specialising in creating Scotch whisky for export, especially to Italy.